Poker-playing bank robber Thomas Dougher, a New Jersey resident who once won a preliminary event at the 2015 Borgata Poker Summer Open, awaits formal arraignment after being arrested in connection with up to nine bank robberies in four East Coast states in recent months. Dougher, 41, was arrested on Friday in Pleasantville, NJ, about an hour after robbing a bank in nearby Absecon. It was the latest of nine bank robberies over the past several months authorities attributed to Dougher, who is already a convicted bank robber. Dougher was arrested in 2007 and convicted in 2008 for a total of nine bank robberies in Pennsylvania and Virginia, and he was sentenced to more than three years in prison at that time. Video-surveillance still of the bank robber alleged to be Thomas Dougher. Dougher was released from prison in 2011 and appeared to stay largely out of trouble, and according to past reports he became a frequent participant in New Jersey’s legalized and regulated online poker market, playing a dozen or two online tourneys every day. 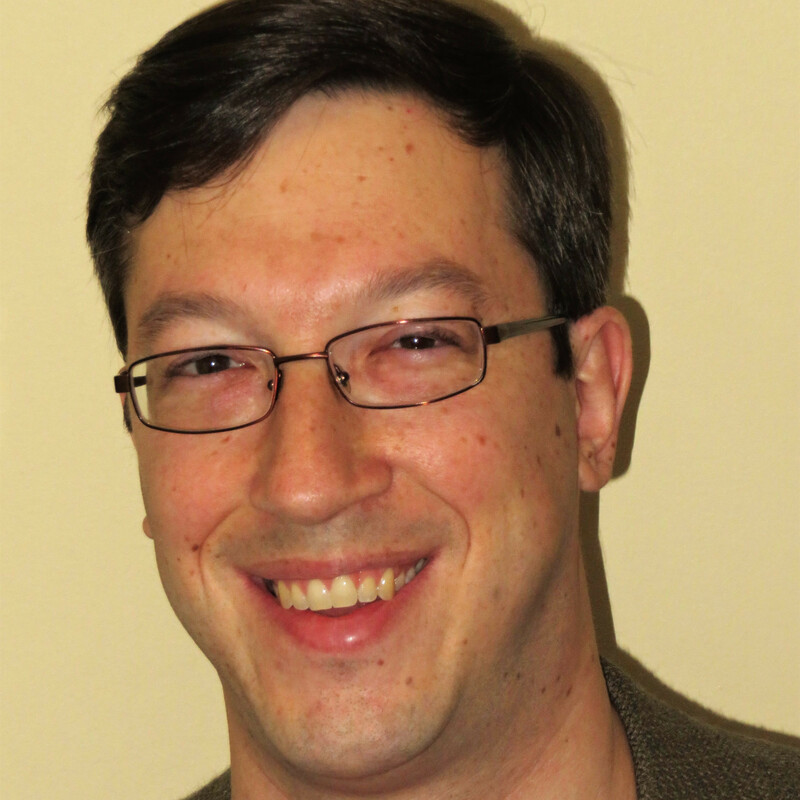 It was through that pastime that good fortune struck, when he qualified via an online satellite for a 2015 Borgata Summer Poker Open, then won the event, topping 2,524 other entrants in a $350+$50 deep-stack NLHE event, for $149,127. 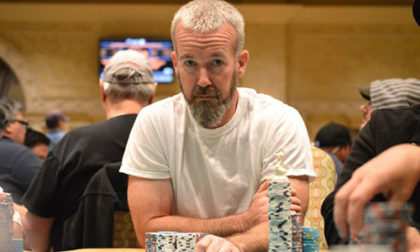 At the time, Dougher admitted it was a stroke of good fortune, and though he played other live events and logged a couple of other small cashes, he wasn’t able to repeat any big results. At some time in 2017, authorities allege, Dougher returned to his bank-robbing ways. He was arrested in connection with three recent New Jersey bank robberies, including a PNC Bank on Dec. 23 in Pleasantville, a Sun National Bank in Northfield on Dec. 26, and another PNC branch in Absecon on Dec. 29. However, as court documents obtained by Flushdraw show, Dougher was also the subject of a sealed complaint issued in September in connection with the robbery of an eastern Pennsylvania bank in August. That complaint also includes aiding and abetting charges against Dougher’s girlfriend, Jacquelyn Ryan, who also has prior convictions for drug offenses and thefts. Ryan was arrested back on September 13th in connection with the Pennsylvania bank robbery, which occurred at a Citizens Bank branch on August 21st, and she admitted being both part of that robbery; she waited in a rental car obtained by Dougher while he went inside and robbed the branch. Ryan also admitted that some or all of the money stolen by Dougher in that and other recent robberies went to fuel her drug habit. Dougher fled the Pennsylvania bank in August with $3,455, the complaint states, though at least some of the money was stained by anti-robbery dye packets tucked into the stolen currency. Dougher was quickly identified by the FBI agent who conducted the investigation and filed the criminal complaint against Dougher and Ryan in September, though Dougher himself evaded arrest until last week. 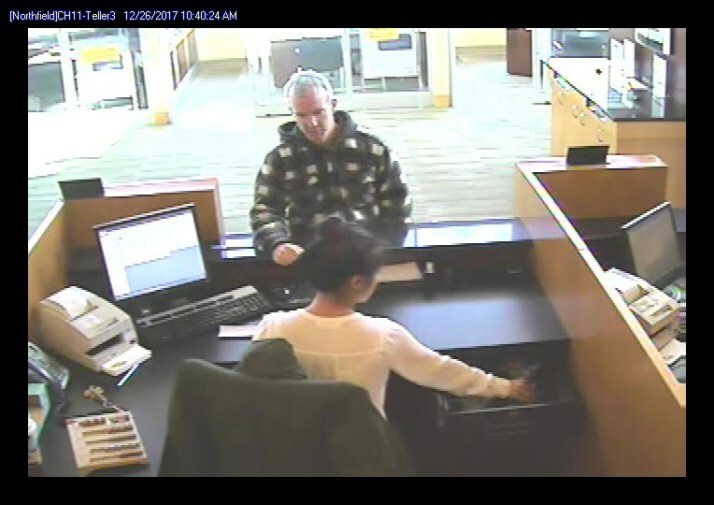 That complaint, unsealed only last week, shows that authorities were already on the hunt for Dougher in connection with other recent bank robberies before the three recent crimes in New Jersey. The involvement Ryan also indicates that the robberies weren’t down solely to sustain a poker bankroll (as some poker-world reports have suggested), but were instead, allegedly, tied to some long-term drug-addiction issues. All told, Dougher has been sought in connection with another nine bank robberies in recent months, matching the nine he was charged in connection with for his pre-2008 spree. In addition to banks in New Jersey and Pennsylvania, Dougher is being investigated in connection with similar crimes in Delaware and New York. Poker continues to draw more than its fair share of criminal types, with the “easy money” common denominator perpetually existing between the two. Yet robbing a bank is an exceptionally stupid, sure-to-get-caught activity, and it’s not that frequent for such a direct tie, whether Dougher actually used stolen funds to bankroll his poker play or not. The last directly-connected bank-robbin’ poker player story to garner significant headlines may have been that of hapless Lehigh University student Gregory Hogan, Jr., who robbed an eastern Pennsylvania bank in late 2005 in order to pay his online poker debts. Hogan, Jr., though, was a twisted story: He chose to rob a bank after being too afraid to tell his father, a fire-and-brimstone, anti-gambling preacher, about his own addictive-gambling problem. Dougher’s criminal story is also far more typical than that of a rather more famous Borgata casino tale, that being the counterfeit-chip caper engineered by now-convicted cheat Christian Lusardi. Lusardi’s scheme to insert chips into a 2014 Borgata Winter Poker Open event resulted in the cancellation of that major preliminary event.